Lincolnshire has a long history of archaeological enquiry, from early surveys of its monuments by 16th Century antiquarians such as William Camden and John Leland, and subsequently through records made by local investigators such as William Stukeley, Thomas Pownall and Thomas Sympson. In 1945 the Lincoln Archaeological Research Committee became the first organised, professional body to study Lincoln's earliest history. Today, hundreds of archaeological projects are carried out in Lincolnshire by professional archaeological contractors, universities, private researchers and community groups, ranging from vast excavations taking years to complete to test pits in people's gardens. If you have an enquiry regarding professional or community archaeological fieldwork, in particular the process by which the resulting finds and documentary archives are deposited with the museum, please contact us. 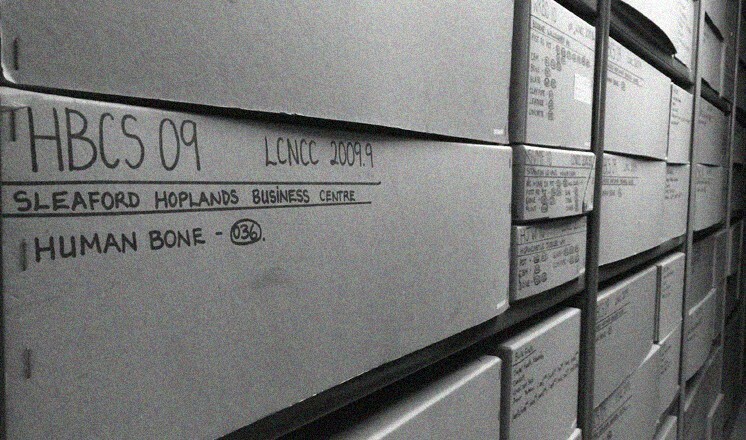 Our 'Archaeological Archives Deposition Guidelines' form part of the Lincolnshire Archaeological Handbook, and sets out the process and our requirements for depositing archaeological project archives with the museum. The latest version of our guidelines and related forms can be found in the downloads box on the right hand side of this page. If you wish to apply for a museum site code and accession number at the outset of a project, please complete a 'Site Notification Form' and email it to the address on the form. Please note that you must allow one week for the museum to process the details.